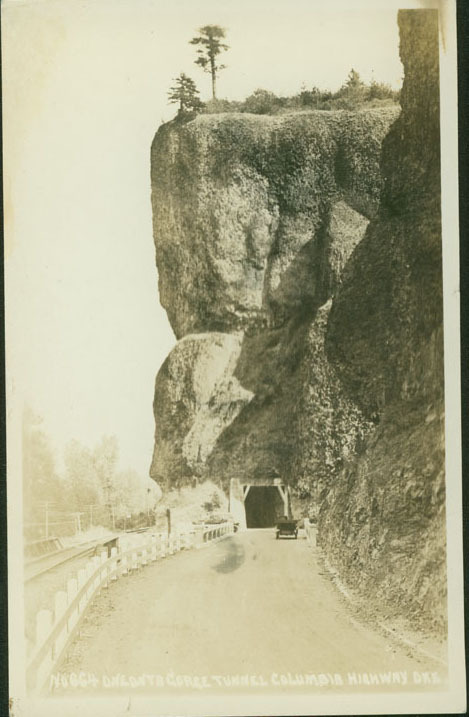 As one of the multitude of reconstruction projects on the Historic Columbia River Highway, was the reopening of the Oneonta Gorge Tunnel. 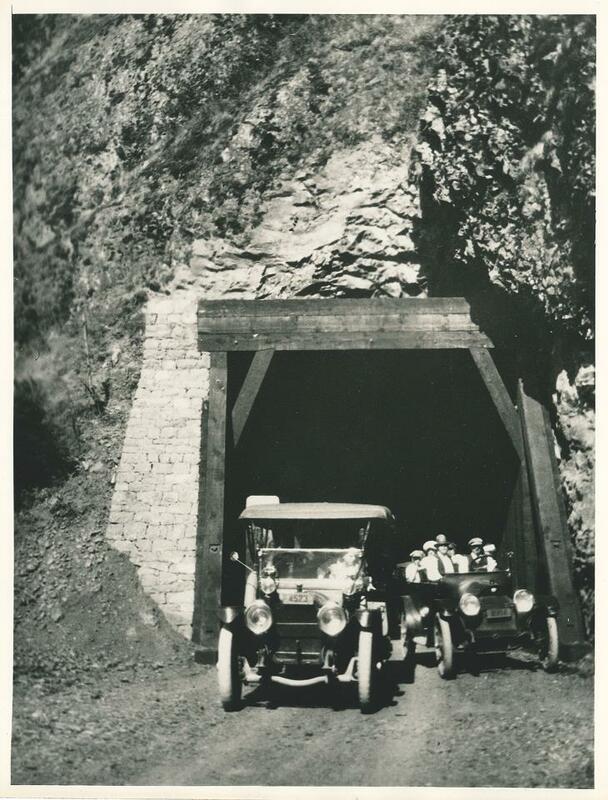 Originally built in 1914, the 125 foot tunnel was somewhat of a compromise. At that time, the land between the bluff and the river was taken by the right of way of the Oregon-Washington Railroad and Navigation Company’s railroad. There simply was no room to route the new highway around the bluff, so the designer, Samuel Lancaster, decided to go through the bluff. Part of his decision to do so was influencde by the presence of Oneonta Gorge, at the end of which is Lower Oneonta Falls. At the time of this writing, three large boulders and subsequent log jam behind them have closed access to the falls. From Lancaster’s time to the present though, hikers interested in seeing the falls would have had to actually hike in the water up Oneonta Creek to be able to see the falls. When built, the resulting tunnel provided yet another outstanding and unique landmark for tourists along the Highway. Before the road was paved, posted by Oregon State Archives. Over the next three decades, rock fall continuously threatened the railroad and cars traveling through the tunnel. The tracks were closed multiple times due to blockage, but luckily no one was ever hurt that we know of today. Finally in 1948, the railroad was moved several hundred feet north on a spit of land created by fill from the Columbia River. 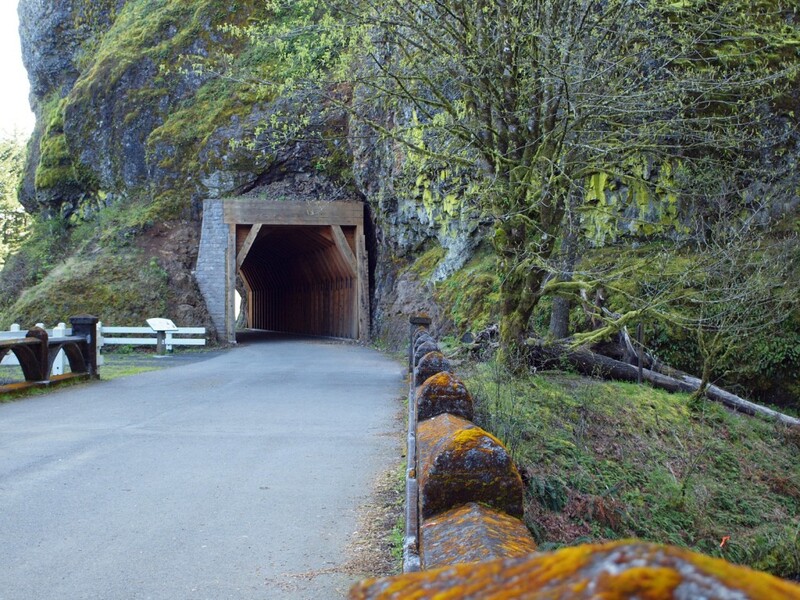 The Oregon State Highway Department then repurposed the original railroad bridge for a highway and filled in the tunnel. The old bridge and road were left for parking. And thus Oneonta Gorge Tunnel remained until March of 2009. At times it was so hidden behind foliage that people would question why a bridge existed there at all. Although cars are still forbidden, pedestrian access through the tunnel is allowed and encouraged. 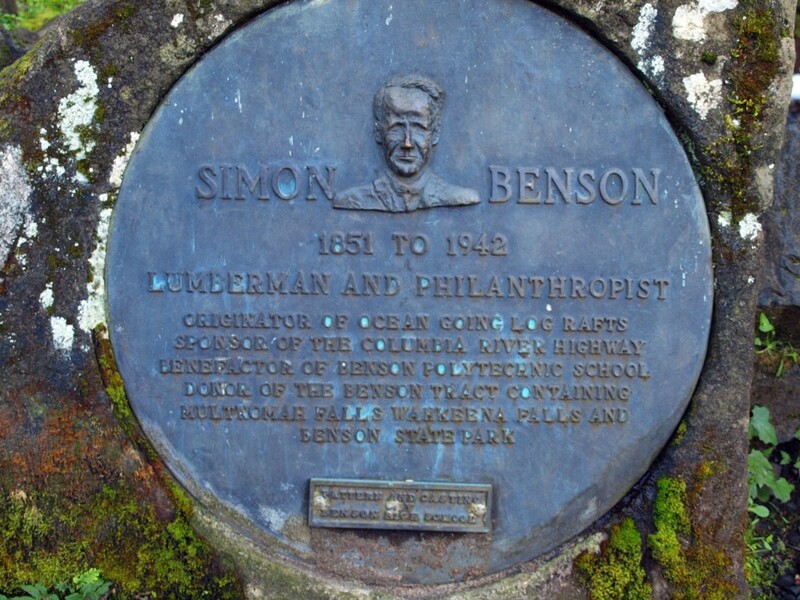 On the original bridge is a small metal plaque, commemorating Simon Benson.